In-house die tryout and runoff capabilities up to 500 tons with Coil Feed. 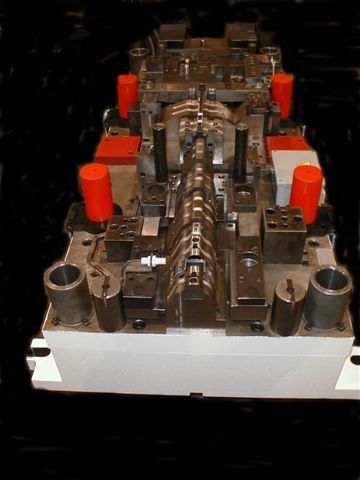 Brink's Machine Company has over 50 years experience in the Design and Build of World Class Progressive Stamping Dies, Line Dies, Staking Dies and other Secondary Operation Dies for the Automotive and non-Automotive industries. With our recent addition of a 500 ton VERSON press with coil feeder we now can offer complete “in-house” die runoff service for dies up to 48” x 96” with up to 35” shut height. With our Equipment capabilities, Die Design, Project Management and Runoff capabilities we have the ability to establish and maintain tight delivery schedules. Let us quote your next tooling project.